On Saturday, September 2oth at Francis Field the Panthers claimed a 30-27 victory against the Eureka Red Devils with a flawless fourth quarter drive. Family day at the field, the Panthers enjoyed a friendly, yet heated atmosphere as they played their closest game of the season. In the past three seasons, every game against Eureka has come down to the final seconds and the last possession. A year ago the Panthers scored the go-ahead touchdown with 30 seconds left and didn’t clinch the game until blocking a Eureka field goal attempt for a 28-27 win. 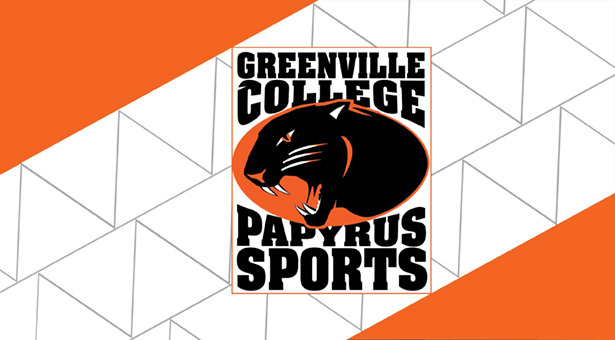 In 2012 the Panthers had to bear down on defense to hold a Eureka fourth quarter surge, winning the game by one touchdown 42-35, and in 2011 Greenville sealed a 36-33 win with seven seconds left on a third down conversion pass. The 2013 Saturday rivalry matchup was no different. Throughout the entire game the momentum shifted back and forth, neither team able to take the reigns. After a combination of three punts, Eureka started the scoring in the middle of the first quarter with a 10-yard touchdown run by running back Kelly Noetzol. In the second quarter the Panthers took over with a 16-yard touchdown run by quarterback E.A. Northey and a 19-yard pass to his brother Sam Northey. The two touchdowns, along with a 31-yard field goal by senior kicker, Josh Morgan, capped a 16-6 lead at the end of the first half. An uneventful third quarter belonged to the Red Devils as the Panthers came out of halftime a little lethargic. Eureka started the half with a 61-yard touchdown drive ending with a 35-yard touchdown pass to receiver Dorrel Baugh. However, as Eureka continued to threat, the Panthers defense pulled out a phenomenal goal line stand to shift the momentum back to their side and spark a 98-yard Panthers touchdown drive that ended with a three-yard run by freshman, Nathan Callaway. Callaway’s run gave the Panthers what looked like a commanding 23-13 lead, but Eureka showed why they have been so much trouble for the Panthers in the past three years. At 11:41, the Red Devils put together two touchdown drives in a row to upset the Panthers with a 27-23 lead. To a young team that had only converted 5-17 on third downs thus far in the game, conditions looked bleak for the Panthers. Looking up at the clock from their own 25-yard line, the Panthers had 4:46 left to score or take a loss. Then the magic that somehow always takes control against the Devils caught hold of the Panthers and carried an unforgettable fourth quarter drive. Four times the Panthers faced a fourth down; and four times the Panthers converted it. Sophomore receiver John Dudley caught one short fourth down conversion pass to save the game once, and he found himself in the right place again with seconds ticking down. With 15 seconds left on the clock, E.A. Northey lobbed the ball up to Dudley in the corner of the end zone. The 6’3 Dudley made an inhumanly catch, reaching over the shoulders of Eureka’s cornerback as he fell with his feet in bounds. Pandemonium burst into the stands filled with the extra family members, and the Panthers did it again; they claimed the last second victory against the Red Devils for the fourth straight year. Nobody knows for sure why this thing always happens when these two teams meet. One could say that it is a God given drive near the end of all of these matchups because He could not let a team known as the Devil’s beat a Christian school. All jokes aside, the Panthers put together a tremendous team outing to claim this victory in dramatic fashion. 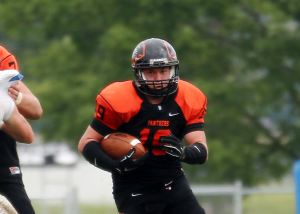 Running back Nathan Callaway carried the ball 30 times for 153 yards and one touchdown. Receiver-running back hybrid Sam Callaway showed off his versatility once again with 146 rushing yards and 42 receiving yards, averaging more than 10 yards per carry and per reception. E.A. Northey threw for 146 yards and two touchdowns as well as scoring one rushing touchdown. Also, tightend Michael Williams caught two passes for 55 yards, and Dudley grabbed four receptions, including the game winning touchdown catch. On defense, sophomore outside linebacker Nick Morrow took the UMAC defensive player of the week honors with 11 tackles, three of those for a loss. 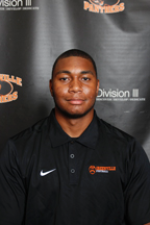 Junior outside linebacker, Joey Silva also had a good game for the Panthers defense with seven tackles and a sack, and freshman Devyn Comer had a solid game filling in at the defensive end position, recording four tackles and one sack. The Panthers now own a 2-1 record (2-0 in conference) and are heading back to Minnesota this weekend to face Martin Luther on Saturday, Sept. 27.